Here are four case studies of how Dr. Mancherian helped some of her Los Angeles patients. A female patient came to my office with severe pain on the ball of her right foot. She was only putting pressure on the heel of the foot because the pain was so intense. She related that the pain began in an instant while vacuuming barefoot. She thinks maybe she stepped on something. Examination showed a small hole in the ball of the patient’s foot. X-rays of her foot showed a long thin object inside the ball of her foot. After careful examination and thought, the patient’s foot was anesthetized in the painful area. Using side-to-side squeezing on either side of the hole, an entire toothpick was extracted from the foot. The patient was prescribed antibiotics and a well-padded surgical shoe for one week until the pain subsided. She had an easy recovery. A 33-year-old female came to my office for a second opinion about having surgery on her “arthritic” big toe joints. In questioning the patient, she related that no non-surgical measures were attempted prior to the recommendation of surgery. She was not comfortable with the prospect of having surgery on her feet but was afraid of the arthritis diagnosis. The examination revealed that she had limited motion in her big toe joint when bearing weight and there was a small bony bump on the top of her big toe joint. She also had too much motion in her foot when she walked. The foot “rolled in” excessively, placing increased demand onto the big toe joint. No evidence of arthritis was present. I recommended that she have a pair of custom-made orthotics for her foot to restrict the excessive motion in her foot with a modification on the Orthotic to help her big toe joint move more smoothly. Shoe recommendations were also made. After one month of wearing the orthotics and changing her shoes, the patient rarely felt discomfort in her big toe joint and said that her ankles and knees were much less painful during exercise. She was thankful for the successful non-surgical treatment. 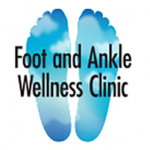 Contact Dr. Mancherian, foot and ankle specialist, for an appointment today. A 50-year-old male came to my office complaining of a painful outside border of the left foot. He related a traumatic injury four months earlier while walking by the ocean in Hawaii. He was walking on an uneven rocky surface without shoes and stepped incorrectly, experiencing immediate foot pain. The foot became swollen and red, but he thought he just sprained it. Upon returning home, he saw a friend who is a doctor who without taking x-rays told him that he did indeed sprain the foot, to ice it, and stay off as much as possible. Four months later, he was still having pain and became very frustrated because he was unable to exercise and started to gain weight. After taking x-rays in the office, it was determined that he had a long, spiral, slightly displaced fracture in the long bone that connects to the 5th toe. Because this fracture had gone untreated, it was considered a delayed union and required special care. We decided to attempt nonsurgical treatment before making the decision to surgically repair the fracture. He began wearing a surgical shoe, which made him feel better when walking and standing. Additionally, he started wearing a bone stimulator every night to aid in expediting the fracture healing process. Within six weeks he began to feel improvement and within two months he was back exercising with minimal discomfort. He is very happy with the course of treatment because he became active again in a reasonable amount of time and thrilled that he did not require foot surgery. Good karma for a walk-in patient. One day a 36-year-old woman was walking past my Los Angeles office thinking about how much her feet hurt. She felt that was a karmic sign so decided to come inside. The patient had a five-year history of constant, severe heel pain. She had been to several doctors over the years and spent thousands of dollars with no improvement. She received a thorough biomechanical examination and a pair of custom-made Orthotic shoe inserts along with exercises to perform at home. She followed up one month later relating only an occasional ache in her feet. The patient appreciated the knowledgeable foot wellness education; the time spent to diagnose accurately and treat her problem; and of course, the thorough treatment. At The Foot and Ankle Wellness Clinic, in Los Angeles, California and Glendale, California, Dr. Suzanne Mancherian treats patients throughout the area and provides care for ankle and foot injuries, ingrown toenails, nail replacement, neuromas, corns and calluses, laser toenail fungus treatment, prescription orthotics and plantar fasciitis. RELIEF IS A STEP AWAY! 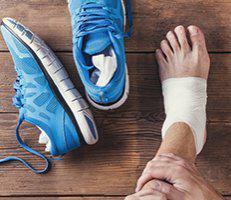 Given the complexity of their structures and the tremendous force loads they endure on a regular basis, it is not surprising that feet and ankles can develop an array of issues. This means there is no “catch all” treatment to fix everything. Instead, podiatrists rely on various tools and techniques to provide relief from painful symptoms and restore functionality for our patients. One of the tools we uniquely use here at Foot and Ankle Wellness Clinic to address cushioning issues and keep your feet protected is liquid silicone implantation. Let’s take a look at this effective treatment option and the various conditions and situations where it is used.